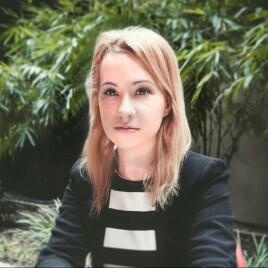 known for her debut, "The Cultivation of Southern Plants Using the Michurin Method"
(1989) – graduate of law at the University of Silesia, she lives in Katowice. 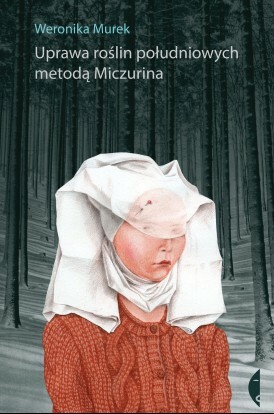 For her debut, Uprawa roślin południowych metodą Miczurina [The Cultivation of Southern Plants Using the Michurin Method] was nominated for the Polityka Passport, the Nike Award and the Gdynia Literary Award. As she says, she is always the last to find out about being nominated. Murek has created a novel in which everything is possible. The macabre, oneiric world into which she invites the reader fascinates and deceives from the very first pages. Among the characters teetering between life and death, reality and dream, we find, among others, a cosmonaut, the late General Sikorski, and a hard-of-hearing Mary knitting socks for Jesus. In the poetic prose tinged with folklore, nothing matches, yet everything fits together in a perfect whole. “I’m bored with transcribing the world, the precise, draughtsman-like tracing of its contours. My hand always itches terribly with the temptation to add something new to reality, some extra element here or there”, Murek says.